Aunt Mag's Adventures in Quilting: Scrap Challenge Adventure . . . Quilt on a Mission! Scrap Challenge Adventure . . . Quilt on a Mission! 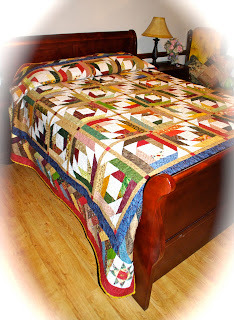 A couple of months or so ago I came across Fabric n' Quilts Scrap Quilt Challenge on Facebook. 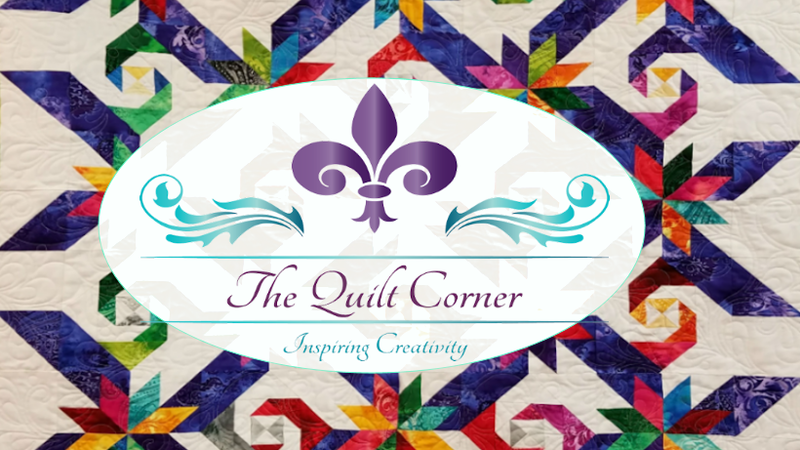 Since I had a scrap quilt in the works for quite some time and my scrap bins were literally bulging at the seams I decided, hey, why not enter the challenge. The quilt had to be completed by February 28th and I work really well under a deadline... so, game on! Well, let me tell you ... it was a challenge! When I started I needed 22 more 12" pineapple blossom blocks to complete the center and still had to decide how to frame it. It has been fun, but also work! What a wonderful story! 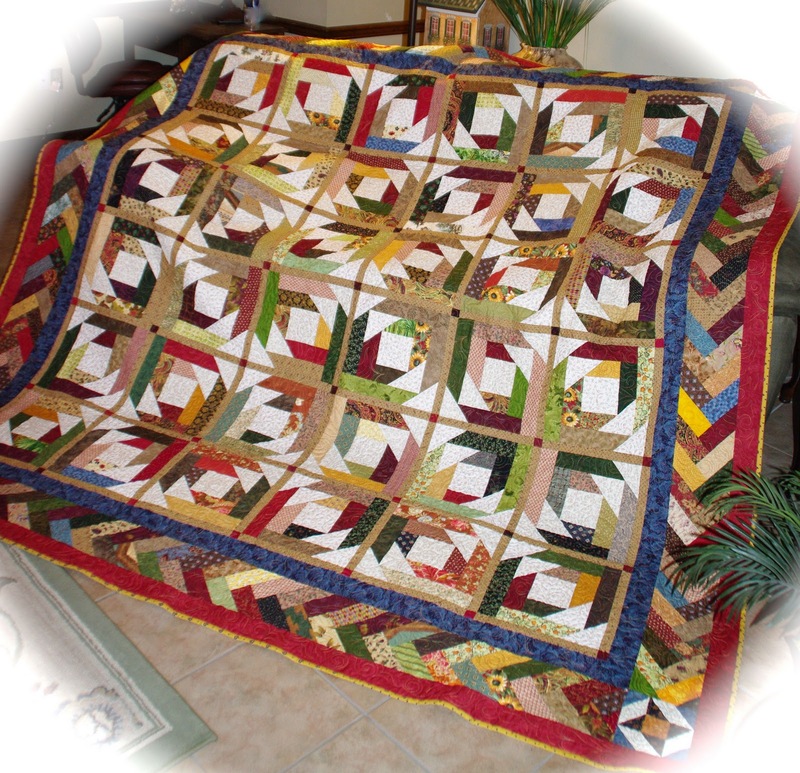 Your quilt is a blessing that will keep on giving. Thanks for participating in the challenge. It was my pleasure to get to know you! Oh Margaret !!! it even looks MORE beautiful on the bed !!!! Gorgeous! (I voted for you!) Please let me know how to get 4 tickets. What a wonderful thing to do with such a beautiful quilt. Hope the $$ helps her. That is one of the prettiest PB quilts I've seen. My all-time fav from Bonnie's patterns.